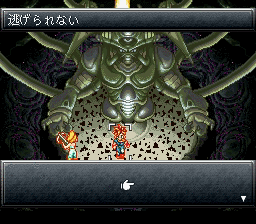 SNES Chrono Trigger (JPN) "newgame+" in 06:42.77 by inichi. This new version of a NewGame+ TAS by inichi is 2 minutes and 24 seconds faster than his previous attempt due to the discovery of a certain data-manipulating glitch that allows him to deal maximum amount of damage every critical hit. It is only possible to do on the Japanese version of the game, which is the reason for a version change. See the author's comments for a detailed explanation. The killing blow is delivered in just under five minutes of gameplay, but additional time has to be spent to go through the Dream Team scene in order to make the game actually end.